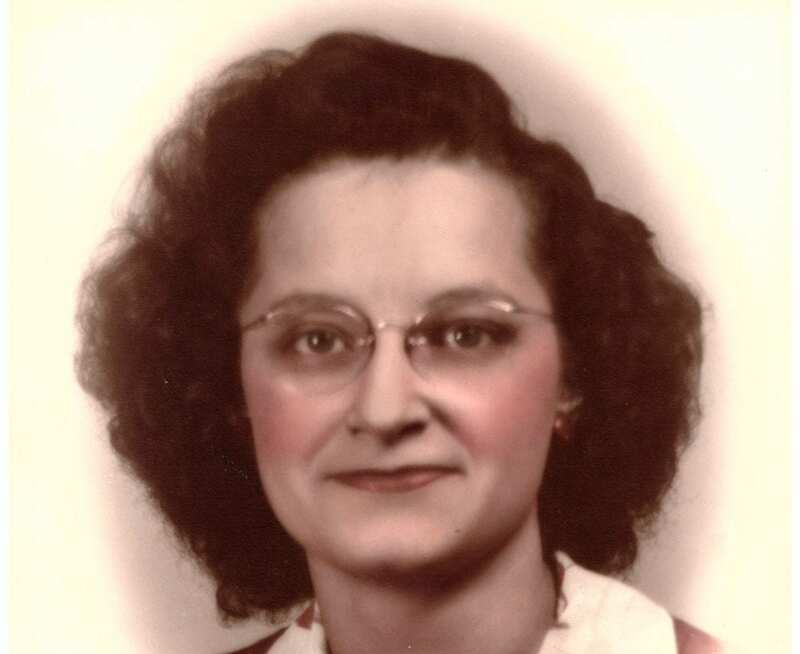 Gertrude Marie Wheeler, 98, of Fayette, died early Saturday morning, April 6, 2019, at Fulton Manor in Wauseon, while under the care of CHP Hospice. Born July 3, 1920, near Elmira, she was the second child born to the union of the late Lawrence and Mary (Kutzley) Gigax. Gert grew up in Elmira where she attended school as a young girl before later taking classes at Archbold. She worked for the former Morenci egg plant, Essex Wire and later King-Wyse in Archbold. She married Bud Wheeler on November 17, 1951, in Archbold, where they made their home for a year before settling on Maple Street in Fayette in 1952. Soon after, Bud went into the armed services and Gert devoted herself to serving as a loving homemaker as they began their family. She later operated a home-based flower business for many years, where she was locally renowned for her variety of bedding plants which she nurtured into beautiful blossoms that often adorned nearby graves at the cemetery. Surviving are her husband of over 67 years, Bud; four children, Kathy Fruchey of Fayette, Stanley Wheeler of Bryan, OH, John (Kim) Wheeler of West Unity, OH, and David (Ann) Wheeler of Fayette; and four siblings, Margaret (Orville) Detter of rural Wauseon, Ilva Storch of McClure, OH, Robert (Diana) Gigax of Camden, MI, and Ronnie (Sharon) Gigax of Archbold. Also surviving are eleven grandchildren, Steven, Beth, Kyla, Paige, Kyle, Nicki, Abby, Jenna, Hanna, Collin, and Jessie; and fourteen great-grandchildren. She was preceded in death by her parents; three siblings, Dale Gigax, Don Gigax, and Helen Neuenschwander; and her son-in-law, Roger Fruchey. The family will receive friends for visitation on Monday, April 8, 2019, from 4-8 p.m. at the Eagle Funeral Home in Fayette. A funeral service for Gertrude will be held Tuesday, April 9, at 11:00 a.m., at the funeral home with Rev. Dr. Samuel Wickard officiating. Burial will follow in Pleasant View Union Cemetery in Fayette. Memorial contributions in honor of Gertrude may be considered to the Fayette Fire Department or a charity of the donor’s choice. Friends can share memories and words of comfort with the family online at www.eaglefuneralhomes.com. Be the first to comment on "Gertrude Wheeler (1920-2019)"